Our church small groups are open to anyone who would to connect with others and seeking to grow in faith. If you would like more information or would like to check a small group out by visiting the group, please double check with our church office just to be sure that the group is meeting that week and not on a break or excursion. Please call 904-259-3551 and ask for Karen. There is a place for you here at FUMC EVERY SUNDAY: Sunday School Classes in the administration building at 10:00 AM these follow the quarterly "Upper Room" devotional series from Cokesbury.com EVERY MONDAY: Men’s Bible Study at 7:30 p.m. This study is held at the crooked rooster brewery (located between Woody's & Domino's Pizza). It will cover the book "Act Like Men" and is designed to be casual and laid back. All are welcome and this is open to ANYONE in the Baker community.  EVERY TUESDAY Golden Girls meets at 10:00 a.m. this is our active senior group that meet for a devotional and then enjoy lunch at one of the eateries around Macclenny. EVERY WEDNESDAY The CHAOS youth group is at 6:15 PM and is an opportunity for youth grades 6 to 12 to belong to a family of students seeking Christ and growing in their faith. The youth room is upstairs in the Administration Building Young Adults for Christ meet at 7:00 PM at the home of Jones's and is designed for young adults 18+ to dive deeper into Gods word and to guide them through the pressures of young adult life. EVERY THURSDAY Women's Bible Study in the administration building at 3:00 PM. Join us as we explore different books of the bible. What is a "Small Group"? 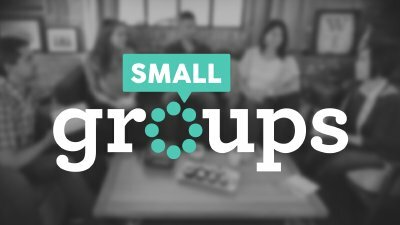 What Is a Small Group? Most people who have been around a church for a while have a pretty good idea about what a small group is. Or do they? The following definition may give new understanding to the term “small group.” A Small Group is an intentional gathering, meeting regularly for the purpose of joining God’s mission. Let’s break this down: A Small Group is an intentional gathering. This group of people agree to share life together. They have a purpose for getting together, plan where and when to meet, arrange their schedules to be there, and meet regularly. People in small groups desire to be formed as Christ’s disciples and as such they will naturally join in God’s mission AND the group will have an understanding that they are gathering for the purpose of joining God’s mission. This definition brings us beyond groups that meet for coffee when it’s convenient, groups whose sole purpose is to assimilate new members into the church, or groups that learn a lot of good information. These groups take seriously practicing spiritual habits that form hearts and lives into being disciples of Jesus. These groups are concerned with discovering how to be salt and light in the context in which God has placed them. If you are interested in facilitating a new small group please talk to the Senior Pastor for guidance on how to get started.